Pernod Ricard Scotch whisky is launching three-year music strategy including partnership with Boiler Room. Ballantine's, the Pernod Ricard Scotch whisky brand, is calling on music fans to "take a stand for true music" in a new global advertising campaign. Created by You & Mr Jones, the activity – which is launching across TV, digital and out-of-home – features individuals around the world reflecting on what music means to them. It was created by Tom Reynolds and Sophie Cullinane, and directed by Rollo Jackson through Somesuch. Media is handled in-house by Pernod Ricard. Ballantine’s global marketing director, Mathieu Deslandes, commented: "Music is a truly universal form of communication; it connects us and gives us a sense of who we are. "As a brand passionate about authenticity and staying true to what we believe in, this resonates with us and is why music is something we believe is very much worth taking a stand for." The ad, which calls on viewers to "take a stand" for music worth fighting for and those who make it possible, follows a multimillion-pound investment in Ballantine's global music initiatives. True Music Series, which showcases creative work, commissioned by individuals from the True Music community on limited-edition gift packs. 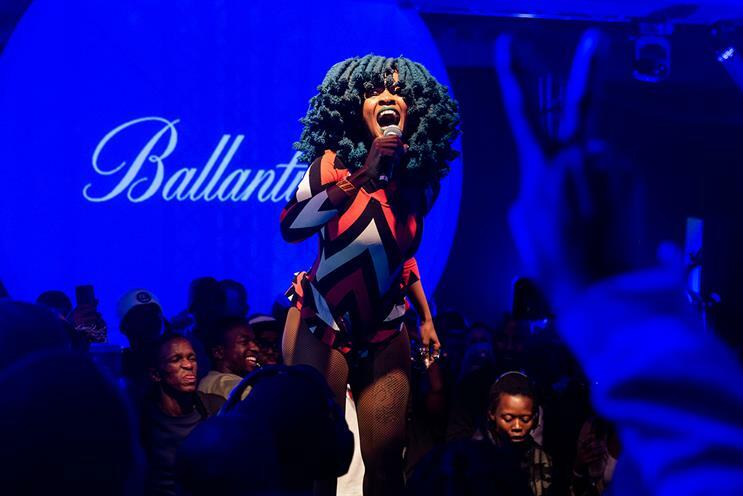 In addition, following a three-year renewal, Ballantine's partnership with music platform Boiler Room will help local music communities in Russia, Poland, Spain and South Africa to identify ways to drive their scenes foward and provide ongoing support through financial, grassroots or collaborative initiatives. Deslandes added: "We want to give back and play our part in supporting music communities – many of which are experiencing pressures and challenges to create and grow in the ways they want to – and this is what our ‘take a stand’ approach is about. "It’s for the artists, the venue operators and the leading creatives who push the boundaries of what their community does for music – and, importantly, it’s also for the fans. "We’ve showcased and celebrated incredible True Music artists for years and, in doing so, have had the opportunity to really get under the skin of their scenes. Now is the time to take our passion, commitment and appreciation of music a step further to ensure it stands for something real and provides real benefits to these individuals and their communities."